Former skipper, Sammy fears that West Indies will soon be competing with teams like Ireland and Scotland. The way we structure our cricket, we're not going anywhere. I'm very scared we will be relegated to be playing against Ireland and Scotland. It's very sad for us. I can't tell a player not to play in a league when it could make them financially stable to look after their family. Windies Cricket is enduring a rapid decline in the 50- over and the Test formats. West Indies Cricket Board has been having constant issues with the some of the star players, due to which all these players are travelling the world and playing all T20 leagues, which has been a huge success for them. The former skipper thinks that with the current administration he doesn't see the big stars returning anytime soon. 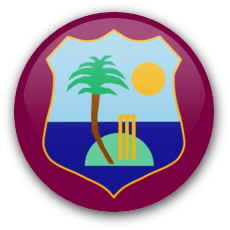 If you really have West Indies cricket at heart you will have the right players for all the formats playing and helping you get to tournaments. West Indies have announced their 13 man squad for the upcoming series against India, without the big players like Dawyne Bravo and Kieron Pollard. The series begins on 23rd July. The "Biggest Party in Cricket" is back!